If you are like my wife, you are always looking for ways to store the kids toys that are strewn about the house. A blanket box, shelving unit and or cubby storage unit usually come into play. 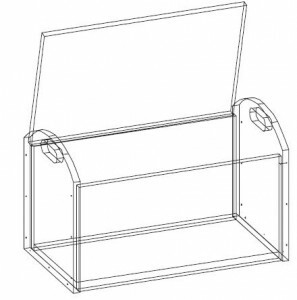 For this free project plan, we are focusing on storage using a blanket box, (otherwise referred to as a toy box, toy chest, blanket chest, etc.). If you are new to woodworking, or an old hand, this is a fun project. Building something out of wood that will last for years and provide an immediate purpose (out of sight toy storage) always feels good. 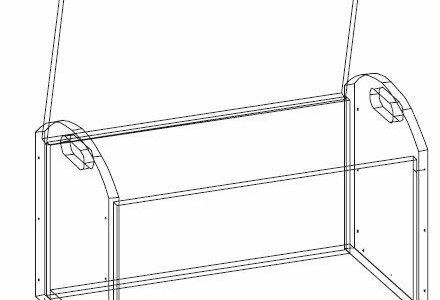 This free woodworking plan comes from the “Canadian Plywood Association” and features plywood (go figure). The plan is very well laid out with a complete material list, cut list, and sheet layout diagram. If you are looking for hardware such as hinges and safety hinges (so fingers don’t get slammed) take a look at Rockler Woodworking. 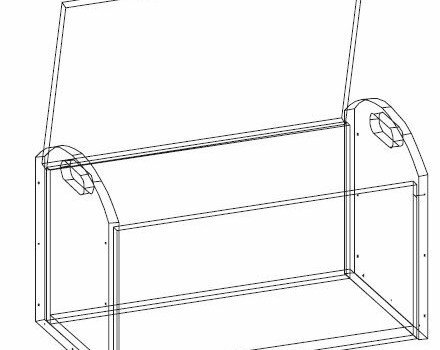 These Free Toy Box Plans are great for a rainy day and can be a terrific project to work on with the kids. If nothing else, let them handle the paint job. If the link fails to open, please let us know. We have a local copy of the plan file. Great sight. Thanks for the plans. I will be using these for my son’s new toy box.